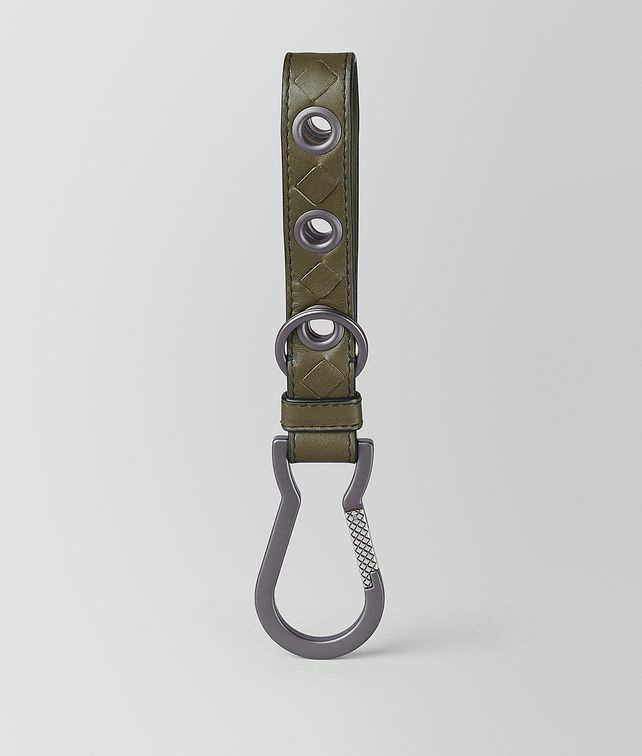 This slim key ring is crafted from VN calf leather and punctuated with brunito-finish eyelets. It features subtle intrecciato detailing and an intrecciato engraved carabiner that easily clips on to a bag or suitcase. The carabiner gate is finished in antique silver for a subtle contrast. Height: 20.5 cm | 8"
Width: 4 cm | 1.5"